The audio you hear is a recording from the kitchen cell during lock down and sounds like someone cutting carrots! Burlington City , founded in 1677, was the first settlement in Burlington County , the capital of the Province of West Jersey and the county seat until 1796. 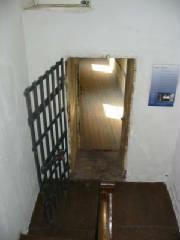 The first jail was located in the basement of the courthouse. This was replaced in 1767 by a separate stone structure that was used until 1811 when the Burlington County Prison in Mount Holly was completed and ready for use. When the county seat was moved to Mount Holly in 1796, the federal-style courthouse was built in the same year. It took another fifteen years, however, to purchase land for the prison site and have plans drawn up and approved by the freeholders. The purchase price of the land was $2,000 in 1807 and, when finally completed, the new prison's construction cost a grand total of $24,201.13. The outside of the building has changed very little. The massive front door, the large hinges and the lock are original. The interior vaulted ceilings of poured concrete, and brick and stone construction is also much as it was when the facility first opened. The interior is whitewashed, as it would have been when first occupied. 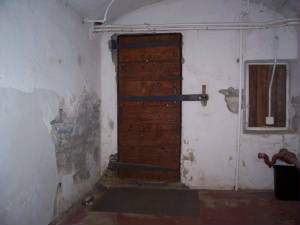 The cell doors are also original and many were fabricated in place. As formidable as the prison seems, it was not escape-proof. The walls were scaled and the roof penetrated numerous times in its history. The preferred routes to freedom seem to have been through the roof of the jail and the passageway to the warden's house next door. One notable escape occurred in 1875. A hole was punched through the ceiling of an upper corridor cell to gain access to the roof and the escape of four men was made good by climbing down a woodpile next to the prison yard wall. A fifth accomplice, too large to fit through the hole and incensed at being left behind, reportedly sounded the alarm. Despite a quick response by the warden, it seems that at least some of these escapees were never caught. Many criminals were destined to spend their last days on earth in the Burlington County Jail. State law mandated that criminals convicted of a capital crime were to be executed in the County in which they were found guilty and Burlington County was no exception. Numerous public hangings were conducted in the prison yard on a gallows erected for each occasion. The last such execution was the double hanging of Rufus Johnson and George Small. The two men were convicted of murdering Florence Allinson of Moorestown, an English-born governess at a refuge for homeless children. Solved within days by the celebrated Burlington County detective Ellis H. Parker, the men were hanged on March 24, 1906, two months after the crime. 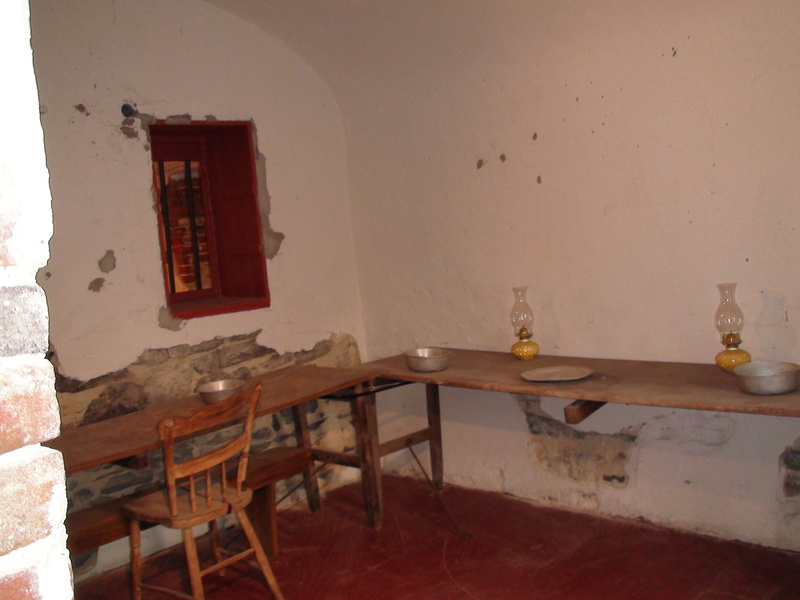 The sound you hear was recorded in March of 2009 an is an actual EVP from the prison. It is the sound of someone "chopping vegetables" and if you have ever done this yourself, you will instantly recognize this sound. It was recorded in the baseent of the prison, in the kitchen area when no one was around. GHOST SOLDIERS CAN SIMPLY TYPE IN A STARTING ADDRESS AND GET DIRECTIONS TO THE PRISON!! !